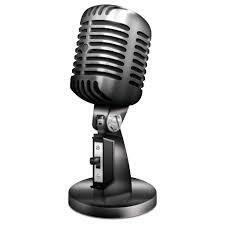 We have received a request from a German TV crew who is doing a special on Lilly’s newer ADHD medication, Stratera. These investigative reporters from Germany are doing a 45 minute piece and looking for experiences of tragedy /suicide or severe adverse reactions in children treated for ADHD with this drug. 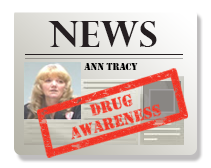 I know we have had reports, but I do not keep close track anymore of which drug is involved after so many cases because all these drugs work basically the same way. An antidepressant is an antidepressant no matter what you callmit or what you prescribe it for or how you explain its supposed uniqueness. So if you or someone you know has been through a Strattera-induced nightmareand would be willing to help get some exposure of this in the press, please get in touch with me so that I can put you in touch the reporters. especially throughout the UK and Europe. What is going on here IS CRIMINAL!! of these cases done not even from the manufacturer. this drug, please do let me know ASAP. numerous adverse effects and scores of deaths by suicide. taken no action against the company once the false information was revealed. public almost a year ago. of these cases done“ not even from the manufacturer. the relations between Sweden and UK. In May I submitted detailed data about cases of Strattera death to the MHRA. immense resources, had been able to do. 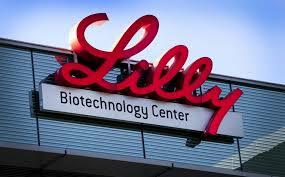 Strattera treatment submitted to the FDA came from Eli Lilly! out in European and national law. were known by and reported via the manufacturer Eli Lilly. think that the symptoms are caused by the drug. 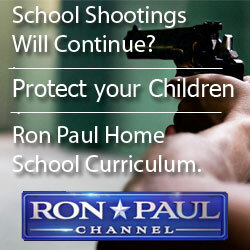 The parents were desperate. but has refused to issue warnings about it. Strattera was approved in 20 additional European countries in April 2006.
symptoms of psychosis or mania, notably hallucinations, in some patients. From this FDA report the MHRA had knowledge about the œcompelling evidence for Strattera causing these effects on or about 3rd March, 2006 but did nothing. and submit its conclusions to the agency. rejection of the robust scientific assessment of Strattera in the FDA report. Asking a drug company to review its own product is crazy, but it goes on quite a lot. MHRA. It was a complete whitewash. included in the investigation of the agency by the Department of Health. fact that Eli Lilly had withheld sensitive information and classified harmful effects as an exacerbation of the underlying ADHD. the process of getting some sensible answers from Eli Lilly. Europe, indeed it concerns all the children of the world. full formal investigation of the matters raised above is needed. Review of Postmarketing Safety Data, released March 3, 2006. Tennessee widow says husband hanged himself 13 days after drug was prescribed. The lawsuit, filed last week in U.S. District Court for the Western District of Tennessee, is the latest in more than 200 lawsuits against Prozac maker Eli Lilly and Co. since the early 1990s. A Tennessee woman charges that Prozac caused her husband to hang himself 13 days after being prescribed the drug by his cardiologist for chest pain and loss of weight. Plaintiff Amby Cole, joined by her two children, says in the lawsuit that Milton Cole’s death in June 2001 “fits the signature pattern” of suicide caused by the Prozac family of antidepressants. Cole wasn’t seriously depressed or suicidal and “became nervous, jittery and aggravated” after taking Prozac, the lawsuit says. The wrongful-death and product-liability lawsuit charges that Prozac causes violent side effects that are dose-related, but Lilly “chose not to pursue” a lower-dose Prozac and put a once-weekly version on the market only last year. “Lilly did not start marketing a once-a-week Prozac until its patent rights had been adjudicated as over and it was threatened in the marketplace with a generic formulation,” the lawsuit says. 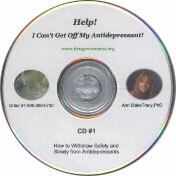 Lilly has always maintained that Prozac’s side effects don’t include suicidal or violent thoughts. In the only two Prozac civil suits to come to trial, juries have sided with Lilly. Attorneys for plaintiffs in the latest suit are J. Houston Gordon of Covington, Tenn., and Andy Vickery of Houston. Call Jeff Swiatek at 1-317-444-6483.
addiction and withdrawal and finally today we see the WHO admit it. to educate the public about these drugs. 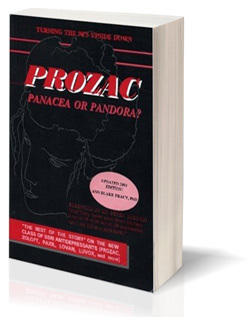 in my book about the SSRI antidepressants, Prozac: Panacea or Pandora? the World Health Organisation’s unit monitoring drug side-effects. including Prozac, are more addictive than tranquillisers such as Valium. withdrawal has become much more serious. You risk creating a greater problem. Survivors Support Group 0161 682 3296.